Recently, a friend asked me to write a food column for her new online magazine Classic Chicago. The column, entitled “The Ingredient”, features locally sourced ingredients; each article shares information on where to purchase the ingredient in Chicago, why I chose the ingredient, and a recipe. My first article, “Local Farm Eggs”, appeared in Classic Chicago on February 28. 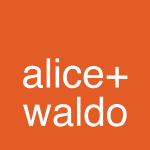 While experimenting with recipes for the first article, I created several recipes to share on Alice + Waldo. This recipe for Meringues is a simplified version of my recipe for Meringues with Pastry Cream and Winter Citrus featured in Classic Chicago. My daughter has an affinity for meringues – I hope she will like this recipe. Although plain meringues are delicious, the addition of pistachios or the classic combination of anise seeds and almonds* makes them irresistible. As a girl, I loved the mint chocolate chip meringues that my mother made for the holidays. * Meringues, flavored with anise seeds and almonds, are inspired by the recipe for Aniseed-Almond Meringues in Bon Appétit and Cornmeal Biscotti in The Zuni Cafe Cookbook by Judy Rodgers. * If you are unable to find superfine sugar, you can make your own by processing granulated sugar in a food processor until very fine. Pour the sugar in an even layer on a parchment-lined baking sheet. Place the baking sheet in the oven for 8 minutes, until the sugar is hot. Place the egg whites in the bowl of a stand mixer fitted with a whisk attachment. After the sugar has been in the oven for 6 minutes, turn the mixer on high and beat the egg whites for 1-2 minutes until foamy. Remove the baking sheet from the oven and reduce the oven temperature to 200°F. With the mixer on high, slowly add the hot sugar to the egg whites. Continue to whisk for 10 minutes until the meringue is cool and stiff peaks form. Line a baking sheet with parchment paper and secure it with a small amount of meringue in each corner. Use one large spoon to scoop the meringue from the bowl and an additional large spoon to ease it on to a parchment lined baking sheet. At this point, the meringues can be rolled in pistachios, topped with anise seed and almonds, or left plain. Place the meringues in the oven for 2 hours, until firm and dry. Remove from the oven and allow to cool completely. The meringues will keep for several days stored in a container at room temperature. Thank you for the opportunity to write for Classic Chicago. 🙂 Your photography is amazing. I am so excited to try the Meringues.